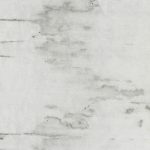 As a legendary American luxury brand, Scalamandré’s mission is to inspire interior designers with beautiful decorative textiles, wallcoverings, trimmings and furniture of the highest quality. Scalamandré’s commitment to the art and craftsmanship of its products has been the company’s hallmark, and its clear sense of integrity has produced a rich heritage of uncompromising quality and excellence. Long a destination for connoisseurs of classic design, Scalamandré’s legacy began over eighty-five years ago when Franco Scalamandré began producing silk reproduction textiles for historic properties. For many decades, the Scalamandré weaving in New York City, manufactured the finest, most luxurious and exquisitely crafted mill, based fabrics, trimmings and wallpapers for the best-dressed interiors in America. Scalamandré continues to showcase its iconic designs today, as well as exciting new introductions that reflect the most current design and color trends in modern interiors. Scalamandre Fabrics are available for purchase here at #1 Fabric Co. Call 877-FAB-2-YOU for your best buy price on any current Scalamandre Fabrics fabric.- Or fill out the price quote form for an email quote on any fabric in the entire Scalamandre line up. 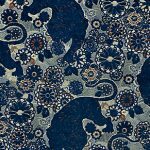 Scalamandre Fabrics textiles for the home or company are discounted for purchase here online. #1 Fabric Co. offers all of Scalamandre Fabrics textiles at near wholesale discount prices. Are you looking for a specific pattern from Scalamandre Fabrics? All Scalamandre fabrics are available for purchase through #1 Fabric Co.
#1 Fabric Co makes decorating with designers like Scalamandre fabrics affordable. Buy the same decorator textiles the professional interior designers buy at the lowest possible sale prices. Note: Our fabric selections are NOT factory seconds, over-stock, remnants or discontinued fabric. 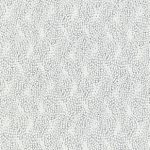 Your pricing from #1 Fabric store will be on a new, current, first-run Scalamandre fabric at the lowest possible price.